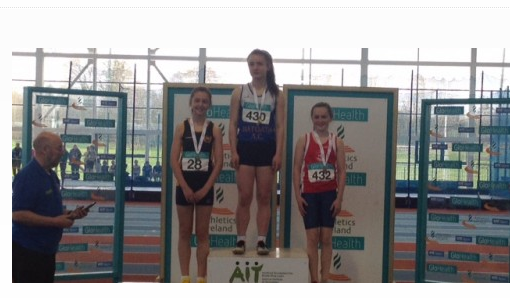 The final day of the National Indoors took place in Athlone last Saturday the 28th, Matthew Buckley and Lili O’ Connor were back in action in the u13 and 14 sprint hurdles events while Brian Kiernan was competing in his first Indoor National final over 200m. Matthew and Lili who have now become very efficient hurdlers qualified from their heats with ease, Lili setting the fastest qualification time going into the final even after some technical issues with her starting blocks. Lili made no mistakes in the final and stormed to victory setting a new pb of 9.77s to claim her first National track title. Matthews final was a close affair with only 6 hundred’s separating 1st from 3rd, Matthew took the bronze to add to his gold from last week, he also set a new pb of 9.32s. Both Lili and Matthew have worked very hard on the technical side of this event over last number of months and thanks also to Aideen Murray and Tom Clinton who have assisted them with this. 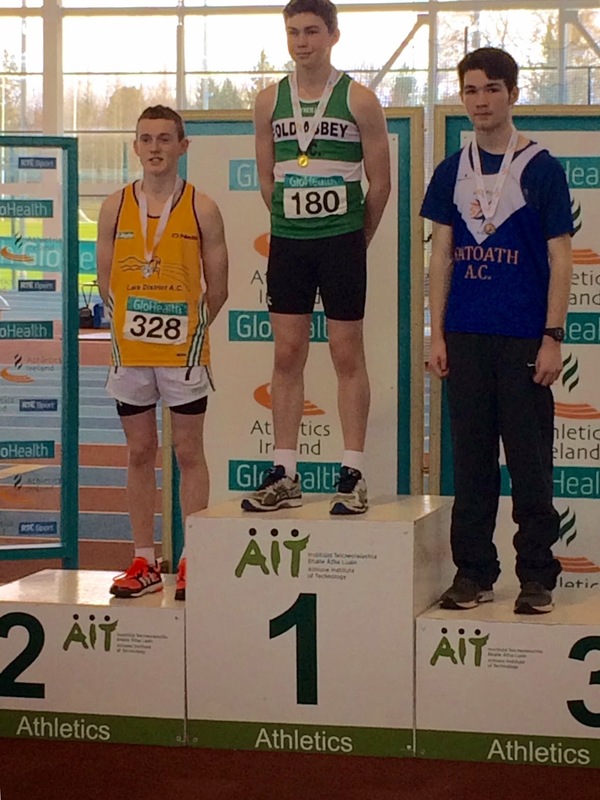 Brian Kiernan competing in his first National Indoor championships did not show any sign of nerves when winning his heat in a time of 23.55s in the boys u17 200m, Brian picked up a slight niggle in his hamstring in the heat and was not 100% fit going into his final, none the less he gave it his all to finish 5th in another tight finish. 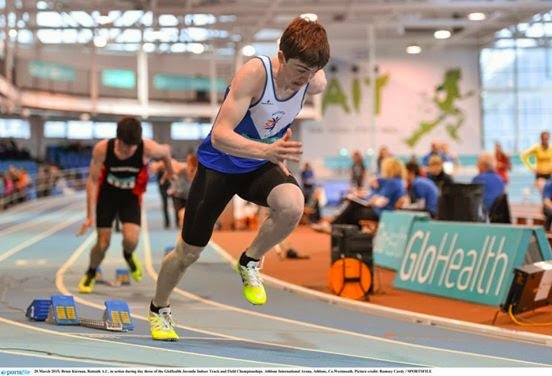 Well done to all our athletes who competed so well at the National Indoors this year, We had a record haul of medals taking home 2 gold and 4 bronze as well as a large number of top 10 finishes.